There’s a saying that “your network = your net-worth”. You won’t find a successful real estate investor that achieved success on their own. To be successful, it’s critical that you surround yourself with successful others to help find deals, raise capital, and more. Ross Hamilton, CEO of Connected Investors has understood the power of a network in real estate investor for many years. Check out this FlipNerd.com VIP Flip Show to learn more. Meet Ross Hamilton, Founder and CEO of Connected Investors. Learn how Connected Investors brings together real estate buyers, sellers, funding partners, and more. Mike: Welcome to the FlipNerd.com podcast. This is your host, Mike Hambright, and on this show I’ll introduce you to VIPs in the real estate investing industry as well as other interesting entrepreneurs whose stories and experiences can help you take your business to the next level. We have three new shows each week, which are available in the iTunes store or by visiting FlipNerd.com. So without further ado, let’s get started. Hey, it’s Mike Hambright from FlipNerd.com. Welcome back for another VIP Flip Show. Today I have with me Ross Hamilton, who is the CEO of ConnectedInvestors.com, one of the largest real estate investor communities and market places on the planet. He’s got a lot of great information to share about community and about some of the coming changes in the real estate investing industry. Before we get started, let’s take a moment to recognize our featured sponsors. Mike: Hey, Ross, welcome to the show. Ross: Hey, thanks so much for having me. Mike: Yeah, yeah. Looks like you’re in a cool workplace there. I’m in an office all by myself and I don’t have any friends here. Yeah, yeah. Mike: Hey, for those that don’t know you, why don’t you introduce yourself and then obviously tell us some more about Connected Investors, which is obviously a huge community. Ross: Yeah, my name is Ross Hamilton. I am based out of Wilmington, North Carolina. And back in 2006-2007, I accidentally started ConnectedInvestors.com, which has since then has become the world’s largest network for real estate investors. Back then, I was just hustling, just knocking on doors, just doing anything I could to find properties to flip. And I realized something: the more people I knew, the more deals I closed. So I started Community of investors and here we are today. Mike: Yeah, yeah. And so talk about Connected Investors when you kind of started, how it started out. And at the time, I’m sure it was a way for you to do more deals. It’s obviously become something much bigger than that. So talk about why you originally did it and some of the benefit you got, and then obviously now a lot of benefit that’s being created is for other people. So kind of talk about how that’s changed or evolved. Ross: Yeah, yeah. Once you guys get involved, in CI, you will realize just how beneficial it is for you. But let me just kind of let you in a story about Connected Investors. It started out very organically. I was just a real estate investor, started flipping properties when I was 19 years old. I wrote the book, Real Estate Investing in Your 20’s [sic], and just started out with no money, no experience, no clue, really, on what I was up against. Kind of a typical story, but I just went at really, really hard all day, every day. And I was constantly going out to meetings to meet other investors to try figure out what they were doing, what’s working and I got to a point in my real estate business to where I started making a lot of money. Right when real estate had that nice upswing back in the day, I was right there, and we were flipping properties, making money hand over fist and I had a lot of extra money. And that’s right around the time that MySpace came out. And Facebook was kind of a new thing that was more of a class scheduling software more than anything else. LinkedIn was just, gosh, nothing at that time. And I tried to flip deals using MySpace, and it just didn’t work. MySpace is just all about parties and music, and that’s fine, but it wasn’t really where I wanted to invest my time. So I said, “You know what? Real estate is a very natural, social business.” So pretty much just on almost gut instinct I said, “Hey, let’s give it a shot,” and I threw a little bit of money to start Connect Investors up. And like I said, back in 2006, maybe [inaudible 00:05:11] in 2005 and it just started organically growing. People liked connecting, they liked having a network that wasn’t filled with spam. It was real estate content. People that were in there were doers. And it just was a way for you to do more deals, and a way for me to sell deals to people that were joining and buy deals from people that were joining and was just a fantastic addition to real estate. Mike: Yeah and at the time, were you primarily just trying to use it as platform in your market, or from the very beginning was the intention to be much bigger? Ross: Well, yeah, we first started we saw what MySpace had done. And I was buying properties outside of my market, and that was one of the biggest challenges. I was setting up different areas all around the country that I was buying properties in. I was in North Carolina buying properties in Texas. And back in early 2006, that was really, really challenging because you didn’t know anyone in Texas. So there was really no way to connect with investors. So we launched it, it got really popular in my hometown. And then in other areas that real estate was popular it started to really, really unfold to a lot of people. Mike: Yeah. For those that aren’t familiar with Connected Investors or are not members, talk a little bit about what the platform is. And I know you are about to have a grand re-opening of a lot of improvements, but talk a little about what the platform is for somebody that doesn’t yet use or even those that do use it that aren’t using the new functionality that’s coming. Ross: Yeah, yeah. Absolutely. Connected Investors in essence is a real estate investing marketplace where people that are buying and flipping properties can buy and sell properties with a social media wrapper around it. That’s kind of a fun, visual way to explain it. Another simple way to explain it is you know imagine LinkedIn just for real estate, with [Inaudible 00:07:10] properties in the middle. So the whole reason you are in Connected Investors is to sell properties. Either you are going to buy them or get your contract to sell them or you have a property you need to sell quickly, but the function here is to give you a place to quickly find people to put together a deal, to buy and then re- sell an investment property. Mike: Right, right. And talk a little bit about the social aspect of it, like some of the ways you create community outside of the deal marketplace, if you will. Ross: Yeah, great. Something that we’ve done in our community that I’ve never seen done before is the ability to follow areas. So if you look at any other social sites, you’re following people. You’re friends with people, and that works great for sites like LinkedIn and Facebook. But real estate is really geography based. So when you sign up to ConnectedInvestors.com you’re going to go ahead put in your three target locations, and then what it’s going to do is pull everything that is happening in those areas-the investment properties, the discussion, the investors that are in those areas-and you get a you know bird’s eye view of the investment activity that is happening in areas that matter most to you. And we did this with a busy real estate investor-I’m busy, everyone here is busy, right? You are out, you are doing things and we sign up to a lot of social accounts, it takes so much time before you get value out of that because you have to friend all these people. You know, come on, who has time really to friend people? We just want to know what’s going on, we want to know whom the movers and shakers are, and we want to buy and then sell investment properties to these individuals or through these individuals. So that’s one of a few things that we are doing that’s very, very different inside Connected Investors in our community that’s just not out there. Mike: Sure, sure. And in terms of some of the re-launch, some of the upgrades that are coming out, some of the improvements you are making to the site, talk a little bit about some of the changes that are happening. And if you can, talk about timing. And they didn’t want to deal with [inaudible 00:09:43]. I’m sure you guys have experience with that. You want to deal with real people. So what we’ve done with our levels is we have basically levels of verification that provide a clear and concise path for our members where they can get to those higher net worth individuals. We have a starting level, and then it goes all the way up to people who have verified they have a network of $10 million plus. So what that does is it brings a lot of capital into the platform and it provides liquidity into our marketplace. So even if you don’t qualify for the decamillionaire platform within Connected Investors, know that those people are seeing your properties, they’re seeing your posts, and if they want to reach out to you, they will at your discretion. This brings a lot of great people into the platform so you connect and partner with them. Mike: Right, right. Okay. And talk a little bit about…I know you’re kind of building the site around the way that you see real estate investing industry evolving, which has changed a lot over the last few years. Just the way that people operate even aside from any kind of political changes or economic changes, just technology is changing the way that we all operate. I mean, I’ve personally closed houses, bought and sold houses from outside of the country from my iPad, just having the ability to wire money and sign contracts and all sorts of stuff. But talk about a little about where you see things evolving and kind of how you’re wrapping some of that stuff into your platform. Ross: Yeah. For someone like you that understands real estate and it kind of looks at more like a commodity, what we’re really going to do for individuals like you is increase the liquidity of your real estate. And what’s happening in the market right now, I don’t know if you guys have been paying attention to Wall Street, but Wall Street is all getting involved in real estate. You need to keep your eye on this because this is changing the dynamic of real estate. Now that we have Wall Street money in here, turning into landlords, I mean, they are buying tens of thousands of properties and they are securitizing the rents and they’re selling that to Wall Street. Now all of these cool ways to do it, so what that means now is Wall Street is in real estate and they’re not gong anywhere. And if you are going to be competing with, in some areas, and working with Wall Street in a lot of different ways, you need to understand how big money is going to affect your local real estate market. And everything we’re doing at Connected Investors is designed to streamline real estate, drive down costs, and increase the overall liquidity in the real estate market. So these big funds out there know that if you are a flipper and you are finding…if you are going to dig up properties, these big funds, they need you because they just want to get 5,000 or 10,000 properties in their portfolio so they can package them up, sell the rents, and go back to the Hamptons. They don’t want to do all of the hard work. So there is huge opportunity for active property flippers to really become a portal, a direct link to on the ground transaction for these big companies that are trying to come into different markets. So a lot of what we’re doing with our marketplace is helping the individual investor that knows what they’re doing link up with the big institutional Wall Street money that needs you. Because they need you just as much, if not more, than you need them. Mike: Right, right. And talk a little bit about…obviously, if you were to kind of look at the pool of real estate investors that exist in America, there are some really successful people at the top that do a lot of high volume. And there is a ton of newbies or folks that are doing a few deals here and there. I mean, probably more than 95%, let’s say, or those that have an interest of getting involved but haven’t yet. So talk a little bit about 8if and how you serve that community of…I’ll just call them newbies. Ross: Yeah. 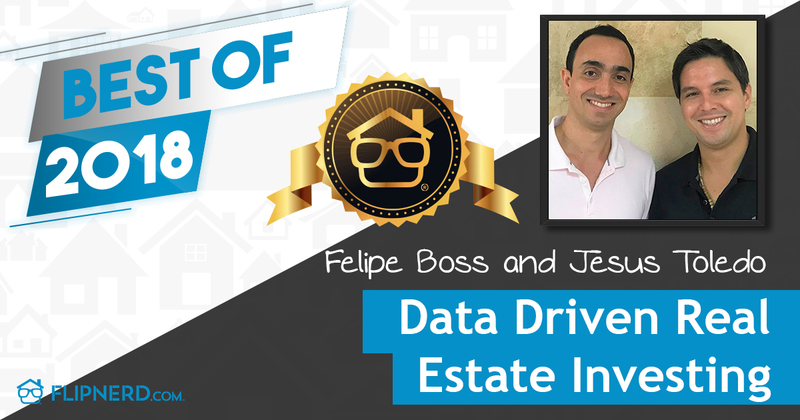 For someone that is brand new to real estate, when they step into Connected Investors they have information available to them that basically instantly throws them in the game. It is kind of like coming into the stock market. You kind of see, “Okay. This is what’s going on. Let me get a feel for what’s happening,” and you can move it to real estate with realistic expectations. You can know who the buyers are, what properties they have, you can get a real good feel for your local market very, very quickly. You’re really lucky to be getting involved in real estate right now with technology where it is to where you can flip deals from your iPad while you’re in Mexico, to big Wall Street money coming to where you can easily raise money for real estate. Because it was a lot harder two years ago. And six years ago was a lot of tougher, being able to see properties with Google maps. I mean, right now is really the best time for a new person to get involved in real estate, especially because you can connect with successful investors. There’s only one shortcut to real estate success and that is connecting with more experienced investors. Mike: Sure, sure. And talk about technology and a lot of things that are changing are a big part of the opportunity that existed when you started, and when I started in investing was just the fragmentation. It’s an inefficient market, right? But the real estate investing market is becoming…we’re kind of watching it become more efficient by leaps and bounds before our eyes because of institutional players and technology and things like that. So where do you think the opportunity is going as markets become more efficient? Ross: That’s a great question. As markets become more efficient, there’s the opportunity to do shifts. The inefficiencies, it’s really annoying to capitalize on those insufficiencies. Like I said at the beginning of the interview, I used to go to courthouse pull records, knock on doors and scrape through all of this stuff. I was literally scraping for deals. So it’s really nice to be able to operate again for efficient real estate market. And this limbo period that we are at right now is just absolutely perfect because there are still so many counties that are still so, so behind. And when I say counties, I’m talking just about public records of real estate. Different things you can do like that. There are also counties that are just-that are just really fluid. So as far as operating in an efficient real estate market, I don’t have a crystal ball. I wish I did, but I’m excited about that day coming and we are planning on playing a really big part of that efficiency. And that’s the mission here at Connected Investors: to make it more efficient. So I’ve been through the pain. Mike: Hey, yeah, I understand. I understand. So what kind of advice would you give to newer real estate investors that are looking to get started? You, just like me, believe that surrounding yourself with others, being around other successful people doing this, finding places to get great knowledge are all very important. What kind of advice would you give to somebody that’s looking to get started in real estate investing? Ross: Yeah. Great question. And the great thing about that question is that I don’t think my answer will ever really change. And semi-shameless plug here to my book, Real Estate Investing in Your 20’s [sic], is essentially written almost as a diary of when I started. You can kind of see exactly what I did to kind of get through. And you hit the nail right on the head when it comes to connecting with other real estate investors. Gosh, I would never been able to get a start if I didn’t pull myself out of my comfort zone and just go out there and just meet other investors because every market’s different. So tip number one, guys, you’ve got to connect with investors. You’ve got to build real, meaningful relationships. One of the traps that people get caught in is they’re friends with everyone but don’t know anyone. Ross: You know, just pick about six good, solid people because that is all you can really build a solid relationship with. So don’t feel overwhelmed and think, “Oh my God, I need thousands of people.” You need six solid people. And from there, you’re one degree away from everything you need. And then you just have to pick an investment technique and go for it. And just jump in. Mike: Yeah. What advice would you give folks…back to your comment about essentially focus, like find one niche? I know some people that I won’t say any names, but I was speaking somewhere at a large event with somebody else, a number of other people, but I was talking about staying focused. And I’ve bought hundreds of houses and I either rehab, wholesale, or assign or keep them as rentals. I don’t do anything with notes, multi-family, and mobile homes, on and on and on. And I think all of those things have merits that are great, it’s not what I’m saying, but I’ve tried to stay pure. I mean clean in terms of I’m focused on essentially the fundamentals of real estate investing, I’d say, for single-family houses. And somebody else was talking on…I don’t even remember the number, but it was a high number. It was like 128 ways to buy a house. And I think for a lot of newer people, that’s just paralyzing. But talk a little bit about that dichotomy of people that are usually either teaching, “Here’s one way to do things,” or, “Here’s a million ways to do things.” And I think it paralyzes a lot of folks from ever getting started. Ross: Yeah, yeah. What I have to say about what you’ve been able to do with your focus is you said you wholesale, you rehab, and you were a landlord. Those are three separate businesses that you are good at each business. But it’s important to understand that. If you are a wholesaler and you start rehab, you just started a new business. I know it’s in real estate but it’s a different animal. And then if you start landlording, it’s a different business. So focus is the make or break of all real estate investors. And the biggest lie real estate investors tell themselves is, “As long as I’m within real estate, I’m focused.” What that does it gives you a hall pass to try to brew up your money, to try to do notes, to try to do taxing, to try to do develop land, to try trailer parks, to try do all of these other niches. And it’s really important. Everyone wants multiple streams of income, right? But you want to make sure it’s a stream of income and not a drip of income or a hole to shovel your time and money into. So just maintain your focus and have a group of people that you run your ideas by, that you trust their opinions prior to going down another path. If you’re doing really well in residential, know that the second you jump into commercial, you start a new business. And it’s okay, but have some people that you can run by that actually care about your success and it’s just not a real estate agent trying to sell you the property or a wholesaler trying to sell you the deal. Someone whose motivation lies with your wellbeing, not a commission check, to help you get through the evolution of a real estate investor. Mike: Right. Sure, sure. Well, Ross, if folks want to learn more about Connected Investors, where should they go? What should they do? Ross: ConnectedInvestors.com. You will be able to check out the community there and we also have our marketplace that we are launching, called the cix, and that’s also a whole new way to buy and sell real estate. If we had more time we could go into that, but you guys can just check it out. Mike: Yeah. And when are you launching that? When is that coming on? Ross: You know, that’s a million-dollar question. Mike: Yeah, web development always takes longer than you planned. I understand. Ross: Yeah, and because we have all these big institutional buyers using the platform, it’s got to be absolutely perfect. So, yeah, it’s rolling out the third quarter of this year, so everything will be fully functional in the third quarter. Things will start to rollout over the next week or so for some of our existing members. Mike: Great, great. Well, Ross, thanks for your time today, I appreciate it and I wish you all the best with the new Connected Investors as it rolls out. Ross: Hey, thanks so much for introducing me to your folks, and I look forward to chatting with you some more. Mike: Absolutely. We’ll talk again soon, okay?